Green Fees prices vary along the year generaly – March, April, May, mid September, October are consider high season and Nov. Dec, Jan, along with the summer months low season. In the low season golf breaks, late deals like free buggy and cheap green fees are a must among ocasional golfers spending their family holidays. 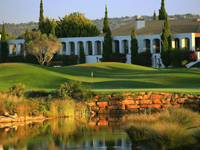 Apart from all this variety of golf courses destinations you may also find an exciting cultural night life, great portuguese traditional cuisine/gastronomie/food and the laid back way of life of the locals. 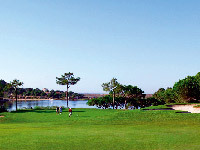 The greatest concentration of golf courses in Algarve are less than an hour away from Faro airport. You'll have only to drive along Via do Infante Sagres which links Algarve's eastest to the westest point or alternatively you may drive along the 125 National Road and enjoy the beautiful coast. 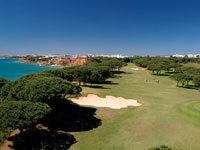 Now which one would you choose from the various Algarve Golf Courses? 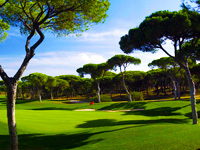 To name a few of the best golf courses the Benamor Golf Course tops the chart, has got immense exquisiteness to enchant your spirits. 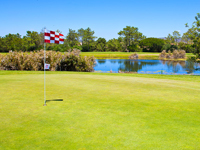 The 18 hole, Par 71 Golf course are for players of all level. 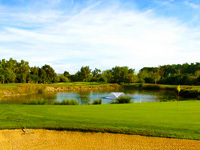 The driving range and bar attached restaurant is an added feature of this Golf course. 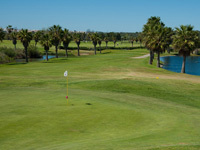 Another popular golf course destination in Portugal is the Boavista which has got an extensive and beautiful golf field. 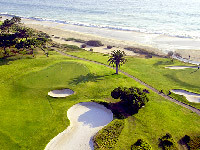 The golf course is adjacent to the Atlantic Ocean,hence you get a great view of the Ocean while you are in the Golf field. Not to mention the Par 71. 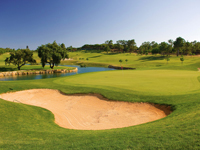 18hole Golf course’s adventurous golfing areas making the game more enjoyable and sportive. 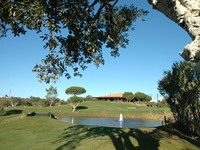 Palmares is also a great 18-hole, par 71 golf course field, a restaurant and a bar is also functioning within the golf course. 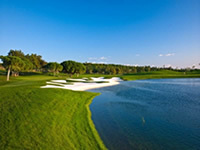 There are great challenges awaiting you in this course that you would love it while playing golf in this course field. 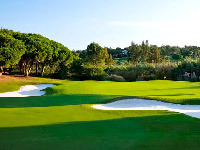 Quinta da Ria is splendid that you would love the great view that includes mountain and sea views, apart from its picturesque beauty with about five lakes also has got the most looked for facilities like club house, golf school, driving range etc. 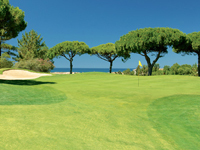 Vale do Lobo is the most magnificent golf course with a sea view. 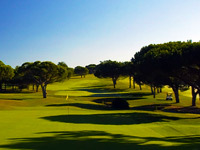 These are a few of the renowned golf courses in Portugal, hence these golf courses need to be booked in advance so that you can make your reservation, and thus spend a spectacular golfing holiday in these exotic golf courses in Algarve and be fortunate enough to be inside the world’s best golf destination. 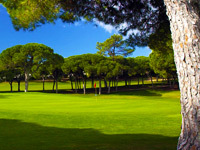 Here you can find the lowest green fees rates and the easiest and safest way to make your golf booking for your Algarve golf break.